Gertrude Nabanja is 43 years old and lives in Mbiriizi village. She's a single parent of five children. She has a disability (PWD) and her movement is limited to a wheelchair. Due to cultural beliefs and practices, she was denied the chance to go to school because of her physical ability and girls were supposed to help on household work. Education was only for boys therefore, she doesn’t know how to read and write or even speak little English. She lives with all the five children in a rented room in the trading centre where she has a small roadside stall as the main source of income for the family. The five children include; Jackie, Roger, John, Damian and Kosmas. Of the five, she only has one girl called Jackie and is currently a senior in the nearby secondary school. She has four boys, Roger is in s.6, the twins are in primary five while John completed primary seven and failed to continue with studies because he lacked school fees. By the time we reached this family John had gone to the lake to buy some fish which the mother sells at the stall which is the main source of the family’s survival in terms of foodstuffs, fees and other school requirements. This family earns five thousand shillings per day that’s averagely one pound per day of which food and other necessities are obtained. She has also informed us that she only makes one meal per day e.g dry tea at lunchtime and food at supper together with her family. 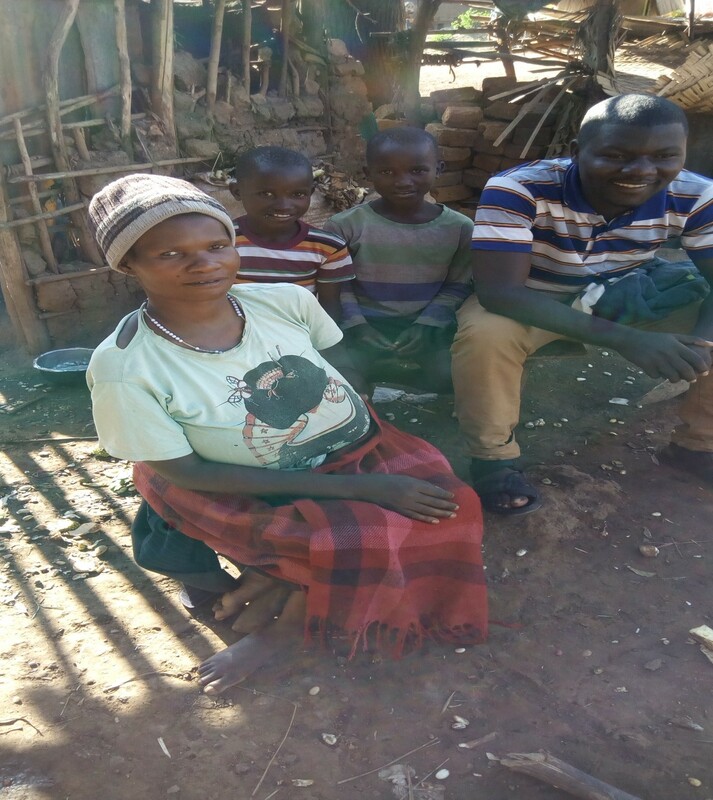 Through hard work amidst challenges, she pays averagely 34 pounds for school fees per term for Roger and Jackie the rest of the money is paid by the well-wishers. Apart from a roadside stall, she provides labour to the neighbours by washing their clothes as well as making some craft items like mats which she sells to supplement her income.